Thank you for your interest in becoming a Presenter of the Parenting is Heart Work Seminar from the National Center for Biblical Parenting. This page is designed to answer basic questions and to give you an overview of the program. A Presenter must complete an application and be approved and then attend the training by the National Center for Biblical Parenting. Upon completion of the 3-day training, the Presenter will be able to present the 4 1/2 hour "Basic Tools" Seminar in churches around the country, as well as workshops in conventions, MOPS groups, AWANA parent meetings, and denominational conferences. Continued evaluation and training will keep the Presenter up to date and connected to further seminar presenting opportunities of the National Center for Biblical Parenting. In order to become a Presenter a person must demonstrate substantial knowledge in the Scriptures and an understanding of how people change. This usually means that the Presenter will have post-graduate school education and experience as a counselor, pastor, or teacher. Some of our presenters don't have a post-graduate degree or experience in formal ministry but they show promise as public speakers and have a keen undestanding of God's Word as it applies to the family. 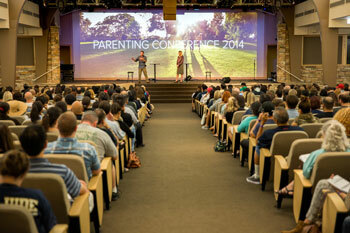 The Scriptures are the authority for developing strategies for parenting. The Presenter must be committed to studying the Bible, interpreting it with integrity, and applying it to family life with wisdom. The Presenter must have accepted Jesus Christ as personal savior and be committed to following the Lord in daily life. Since an appeal for others to have a close relationship with their Heavenly Father is part of the seminar, a Presenter must believe that salvation comes by God's grace alone through faith in Jesus Christ. Since this one issue can be easily misunderstood and taken to extremes, a Presenter must avoid the mentality that says that all parents must spank their kids. Furthermore, the Presenter cannot hold a position that spanking is evil. Rather, the Presenter must believe and be willing to teach that spanking may be one tool in the toolbox but it is not the only one. This balanced approach when it comes to the use of spanking is true to God's Word and will prevent a Presenter from engaging in extremes. If you don't agree with any of these points, please don't apply to be a Presenter. 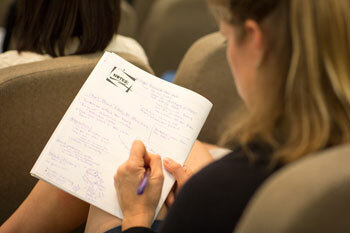 Questions from attendees at your seminar will quickly reveal your stand on any of these issues. Your views on these crucial issues must line up with those views of the National Center for Biblical Parenting. Upon completion of the application process and the training, the Presenter is considered an Independent Contractor and will manage all income taxes and keep accurate records of income and expenses. A local church who wants to host the parenting seminar will pay NCBP $350 for a scheduling fee and conference support fee. If the Presenter arranges the event, he or she will receive $100 of that $350 for the scheduling fee. This is designed to encourage Presenters to seek out opportunities to schedule events. The church pays travel expenses for the Presenter. The church will guarantee 50 attendees paying $20 each with $5 going back to the host church to help with promotion, followup and administrative costs. The $15 per attendee is paid by the church to the Presenter. Out of that, the Presenter will purchase Parent Manuals at $5 each ($9.99 value) from the National Center for Biblical Parenting. It is expected that the Presenter will give each adult attendee one manual. The Presenter will also receive 20%-50% discount on all National Center for Biblical Parenting books and resources and can resell them for their retail value, including Video Training Kits for follow up. Typically a Presenter would make the following income. These numbers are given for illustration purposes only. 50 attendees: $500 speaking fee plus approximately $150 in resource sales. 100 attendees: $1000 speaking fee plus approximately $400 in resource sales. 200 attendees: $2000 speaking fee plus approximately $800 in resource sales. In addition, as stated above, the Presenter receives $100 for each of these events he or she personally schedules. The next step is to download a NCBP Presenter Application by clicking here. If you have any questions, please feel free to give us a call at (609) 771-8002. Anyone who is interested may attend this training. You can register by downloading the Registration Form. The registration fee can be paid by credit card. Submit your completed Registration Form by email to Joanne@biblicalparenting.org or by fax to (609) 771-8003, or by mail to the National Center for Biblical Parenting, 76 Hopatcong Drive, Lawrenceville, NJ 08648. Make checks payable to NCBP. If you have any questions please email us or give us a call at (609) 771-8002. Reminder: Although anyone may attend the training, Presenters must be approved by the National Center for Biblical Parenting in order to conduct the seminar. You may download the Presenter Application here.